Why not let your customer know (or anyone you choose) that goods have been collected and on their way to be delivered? With our receiver advice message we can send either a sms or email when the collection has been made. 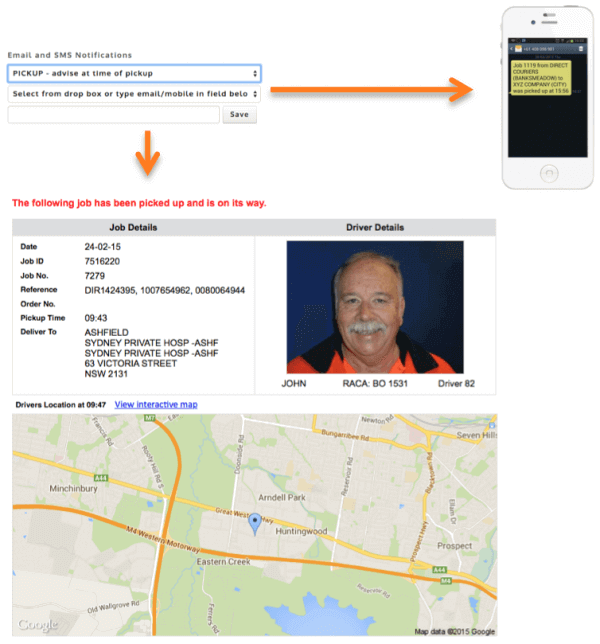 The email contains details of the delivery address, a photo of the delivery driver, the driver's name and an interactive map showing the exact location of the driver. Using the interactive map you can then follow the driver until the delivery is complete.